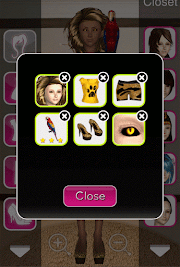 How to Get 3 Stars on Style Me Girl Level 15, "Animalistic," With No Cash Items! | I Style Me Girl! 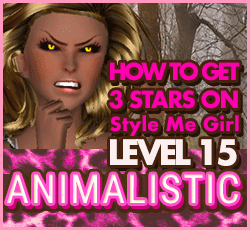 How to Get 3 Stars on Style Me Girl Level 15, "Animalistic," With No Cash Items! 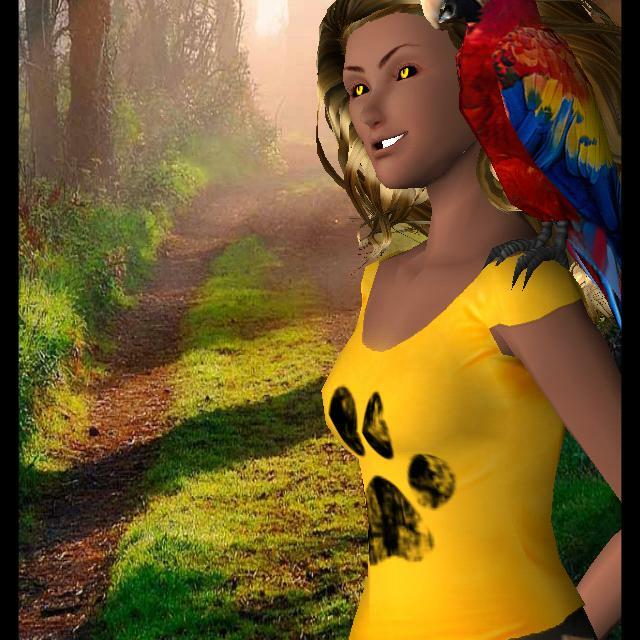 The theme is "Animalistic," in Level 15, of Style Me Girl, and features a new model, Dreamgirl. Using Dreamgirl's own mane-like air and cat eyes, I gave her an animal inspired look that earned three stars. As usual, I used only silver coin items, no cash items, making this style easier to accomplish. 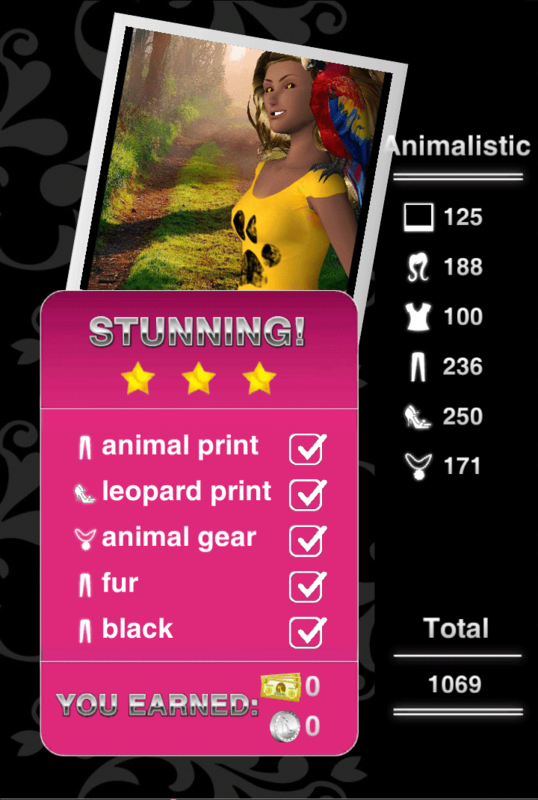 If you would like to know how to get three stars, "Stunning," on Style Me Girl Level 15, "Animalistic," theme, the details are in the post! Click on the screen captures in the "Closet Items," box at right to view all the items used in this example as they appear in my closet. All of the items used are silver coin items, no cash items are used. In the list below I will go through and describe each item one by one. As you can see in the image at right, I earned three stars for this style on Style Me Girl Level 15, Animalistic. It is likely that if followed exactly, this method may work for others as well! Still doesn't work 😕 But thanks for the advice! Try buying the strapless cheetah print shirt, the orange & black leggings (NOT the bright yellow pants) cheetah print high heels, cheetah necklace/collar,models own hair and animal eyes, black shiny eye shadow up to eyebrows, and the parrot ☆☆☆ item. Ive gotten 3 stars using that look twice b/c my game crashed and i had to start over. Good luck, hope this helps! Tried the strapless cheetah top, nothing... Tried snakeskin belt shorts and boot look... Nothing.... Jewelry apparently was wrong too..